Where can you find the coolest collection of working vintage computers from before the days of Surfaces and iPads? 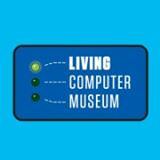 Our recommendation is the Living Computer Museum. Here you can find Paul Allen's collection of antique mainframes, minicomputers, and microcomputers. See how computed results could be viewed without a monitor, or how you program a computer using paper cards. The museum hosts a number of special events and ticket prices are pretty affordable ($6 for adults). Little kids may not find the museum as interesting as older ones, but if they like pushing buttons and watching things blink - they might actually enjoy it.